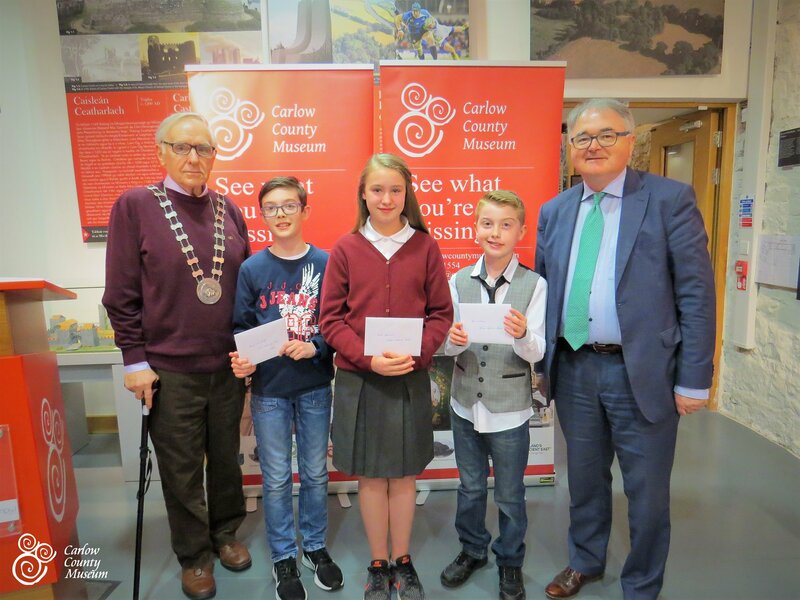 Last week in Carlow Carlow County Museum, the winners of the 2019 Carlow Historical and Archaeological Society second level were awarded their prizes. Second prize went to Kevin McKeon from Carlow National School for his excellent project on William Dargan. The children and their family, friends, and teachers deserve great praise and congratulations. CHAS thanks Carlow County Museum for their ongoing support in providing a venue and refreshments for this project.